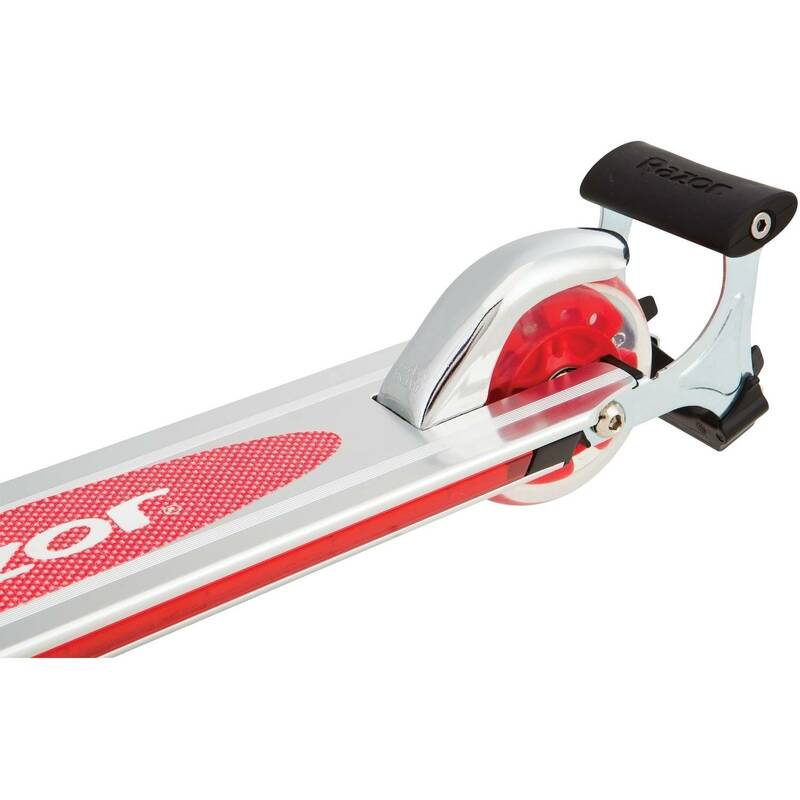 BONUS : Comparte este Scooter Razor Spark 2.0 Scooter, varios colores disponibles + Razor en Veo y Compro y obtén un descuento para comprar este u otro producto que tanto buscas. Kids and teens can have ultimate fun with this Razor Spark Scooter. 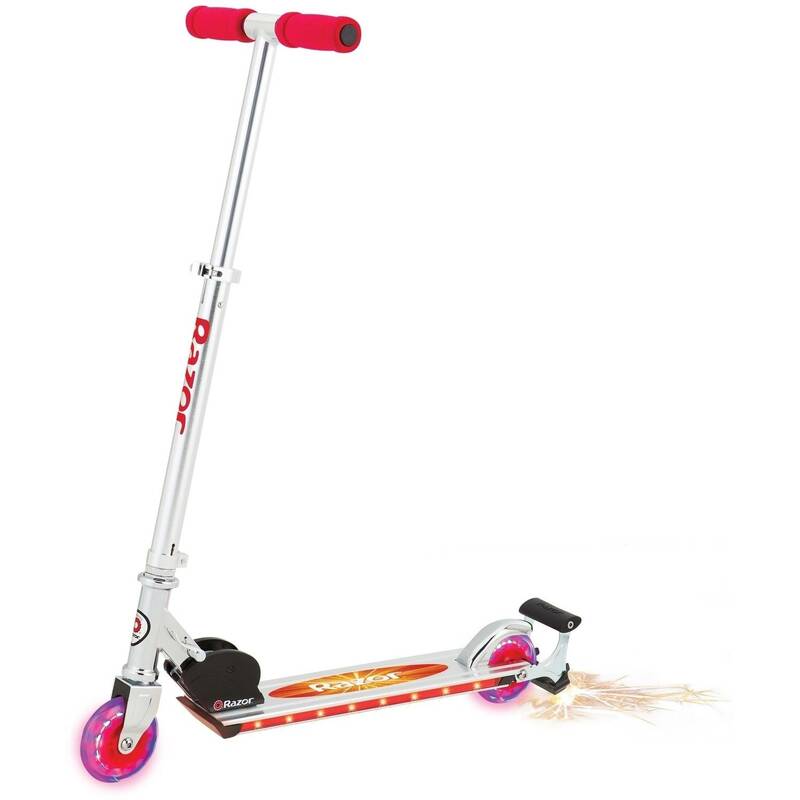 It comes with a foot-controlled, detachable spark bar with five flint pads to create real sparks while you ride. 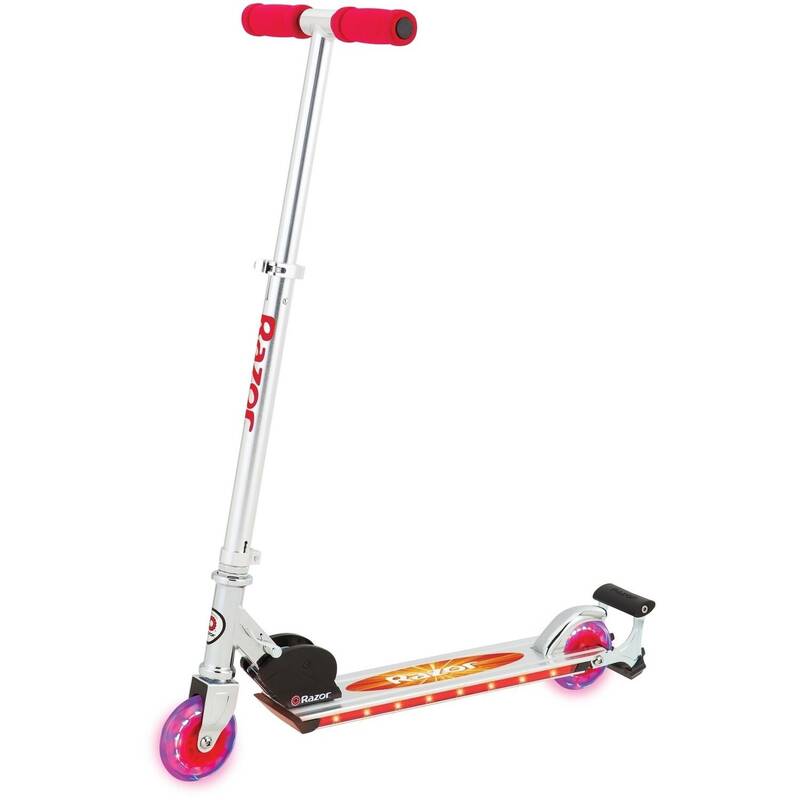 Made of aircraft-grade aluminum, this kids&39; scooter can endure rough handling. For quick, easy stopping it features a patented rear fender brake. 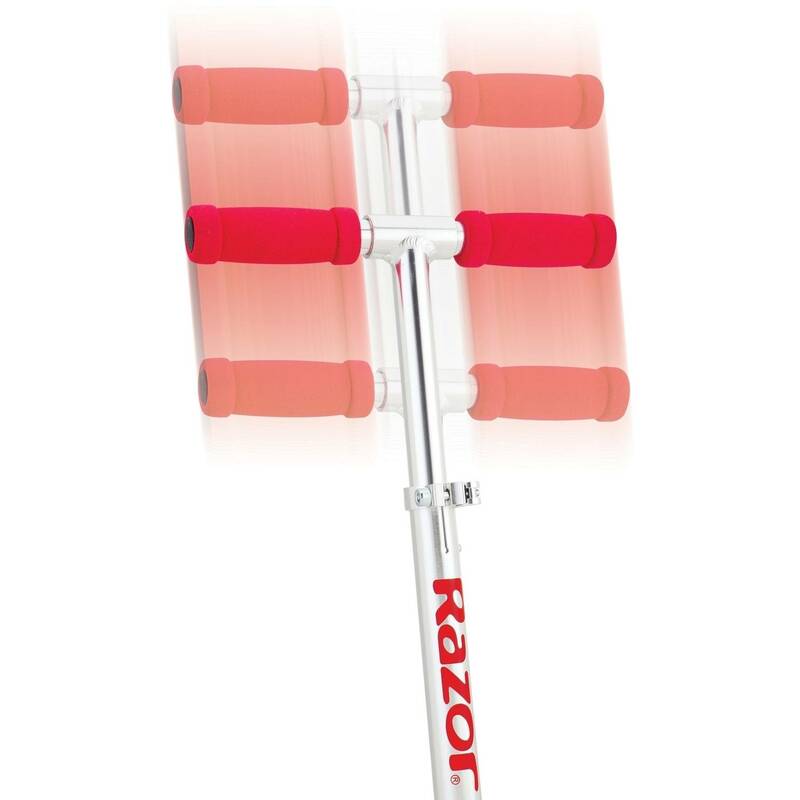 The Razor scooter can be easily folded for storage and portability. 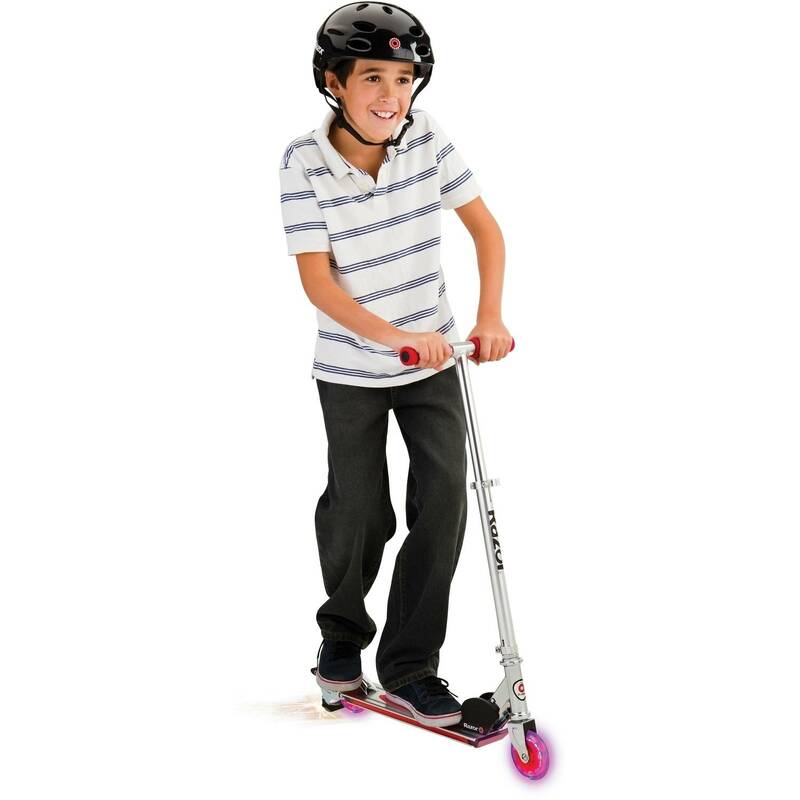 Riders can experience a smooth, fast ride with optimum control on this kids&39; kick scooter. 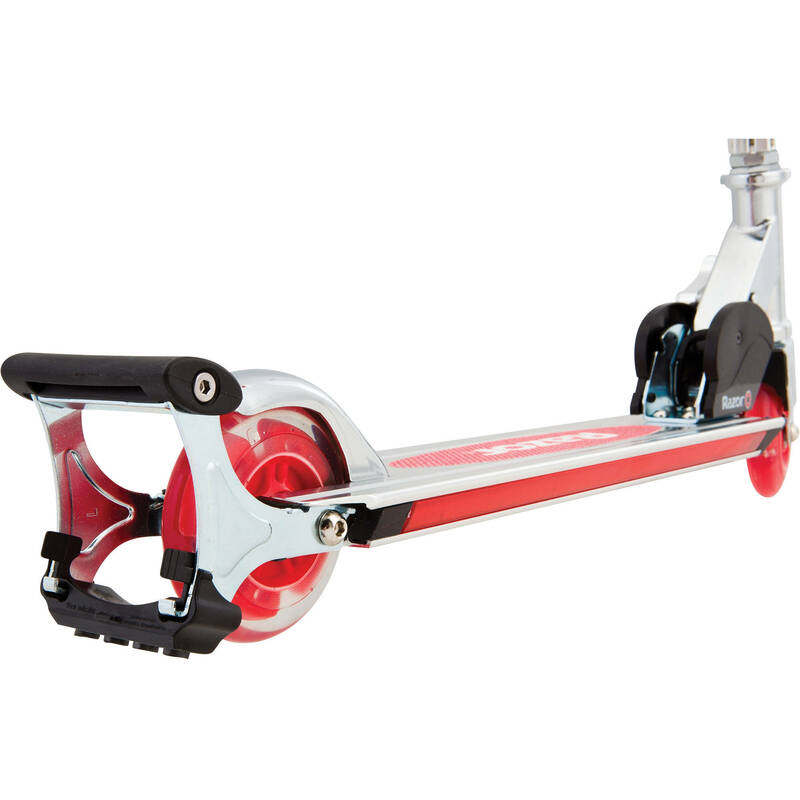 It includes 98mm wheels and ABEC 5 bearings. This scooter comes with a bonus replacement spark cartridge. Warning Text: Ages 8+. Not for children under eight years of age. Close adult supervision recommended. Do not exceed 143 lbs (65kg) total weight on the Spark 2.0 scooter. 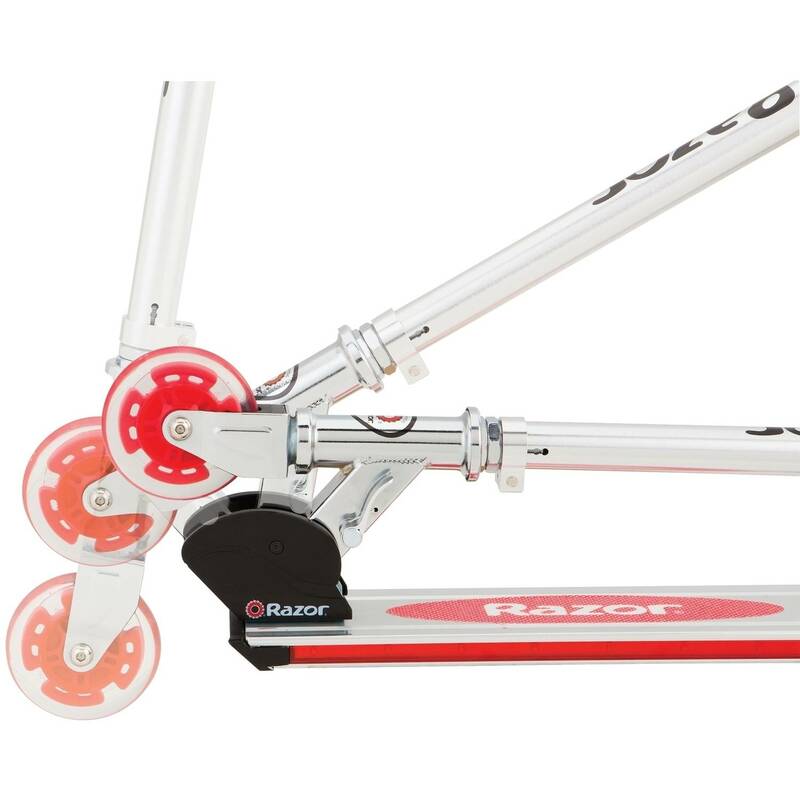 Adults must assist children in the initial adjustment procedures to unfold scooter, adjust handlebar and steering height, and finally to fold scooter. Always wear a helmet. Knee pads and elbow pads are recommended when riding your scooter and keep the helmet&39;s chin strap securely buckled. Always wear closed toe shoes. Check and secure all fasteners before every ride. Replace worn or broken parts immediately. For outdoor use only on solid, clean, dry, hardened surfaces. Always ride away from motor vehicles and pedestrians. Avoid sharp bumps, drainage grates and sudden surface changes that may cause scooter to suddenly stop. Avoid streets and surfaces with water, sand, gravel, dirt, leaves and other debris. Wet weather impairs traction, braking and visibility. Batteries included for lights - adult attention for changing and disposal. Always obey all local traffic and scooter riding laws and regulations. Sparks can induce fire. For outdoor use only on solid, clean, dry, hardened, surfaces. Keep sparks away from substances that can catch fire, such as dry vegetation, paper, chemicals or gasoline. Sparks can induce fire. Do not use in areas prone to wildfires or posted by fire authorities as a Fire Hazard Zone. Do not ride at night. Never use your Spark 2.0 scooter to try to start a fire. 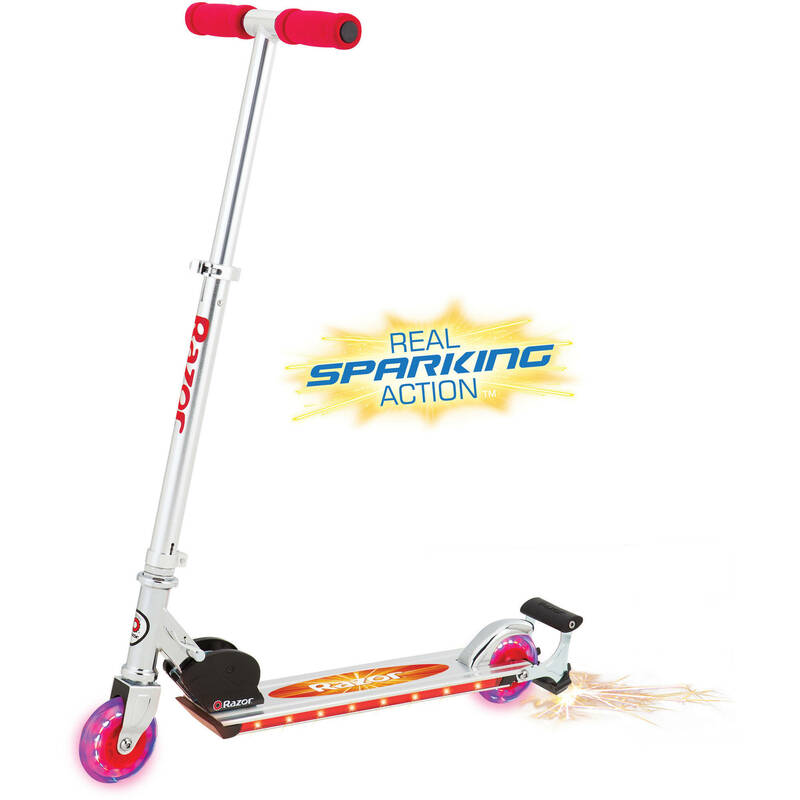 Your Spark 2.0 scooter emits localized sparks when the Spark Bar on a moving scooter comes in contact with hardened outdoor surfaces like asphalt or concrete. Be responsible. 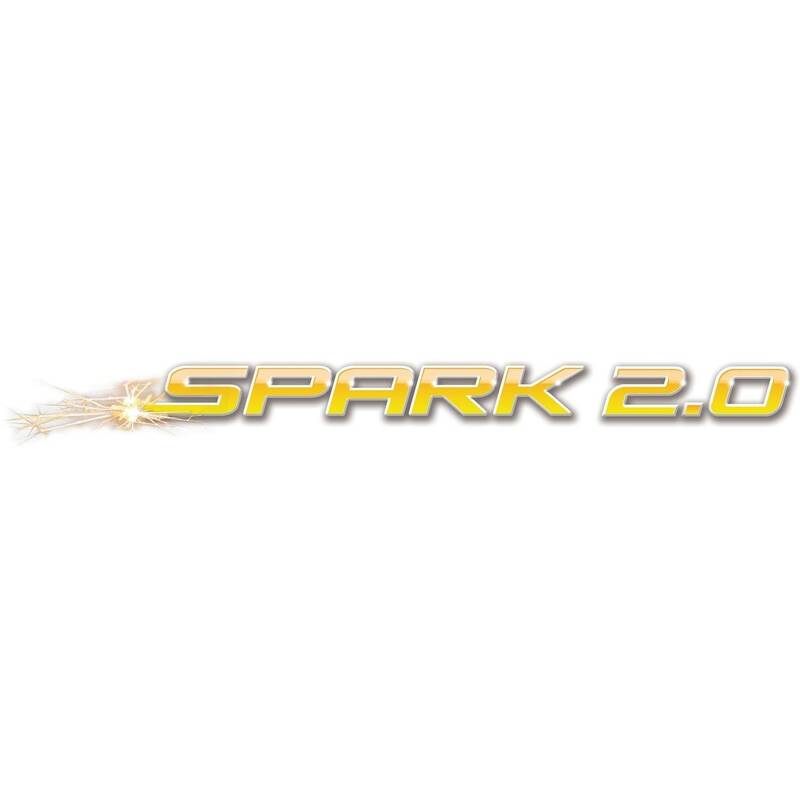 Keep sparks away from eyes, hair, exposed skin and clothing. Sparks can burn. Spark Bar and brake get hot during use. Do not touch after using. Before riding, parents must review all Warnings and instructions with each rider, including additional safety information for sparking in the owner&39;s manual. Adults must assist children in replacing Spark cartridge. Failure to use common sense and heed the above Warnings presents and enhances such risks. Use at your own risk and with extreme caution. Check local laws and regulations to see where and how you may use your Razor Spark 2.0 Scooter. Instructions: Please do not discard box as it may contain important user information. Razor Party Pop - A party on wheels!Become the life of the party with the all-new, light-up Party Pop. 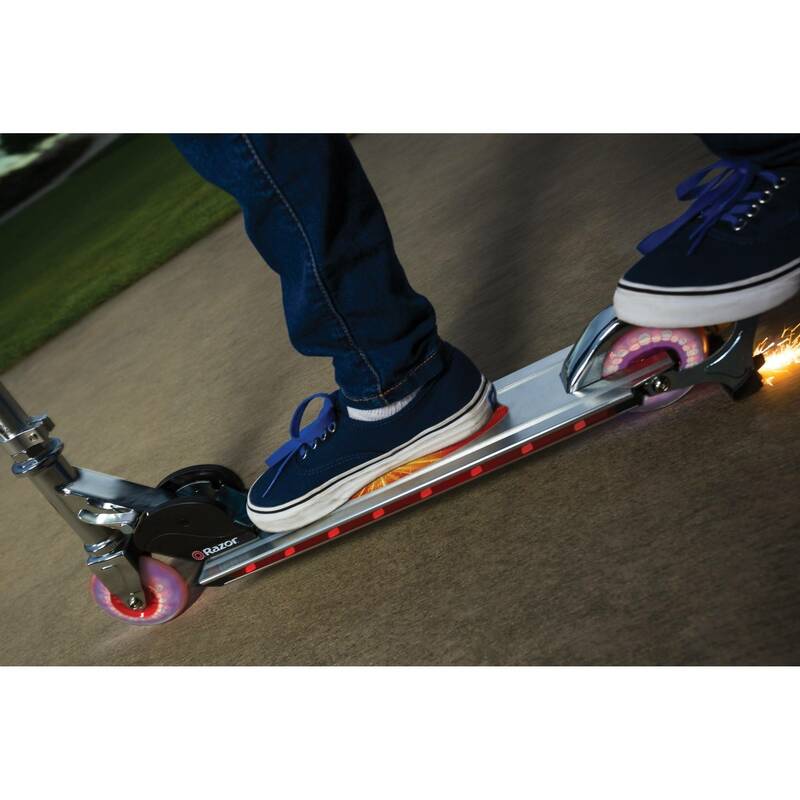 Step on the deck to fire up the pulsating multi-color lights, then keep the fun rolling as you take this light show on wheels on an kick powered tour through the neighborhood.